I wander around the shopping malls and its funny but I prefer to start at the men’s section. I love men’s clothing. 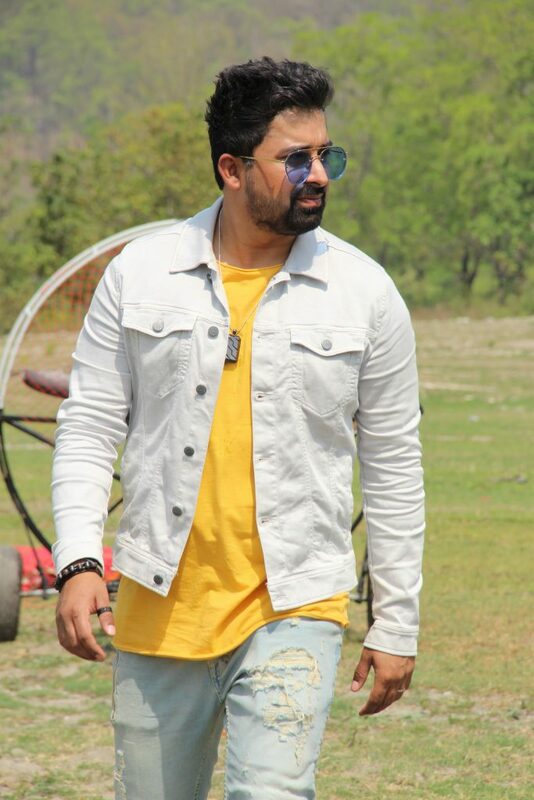 This is something I’ve realised over the span of few years and I think Rannvijay plays a huge part in my love for menswear. He looks good in everything. 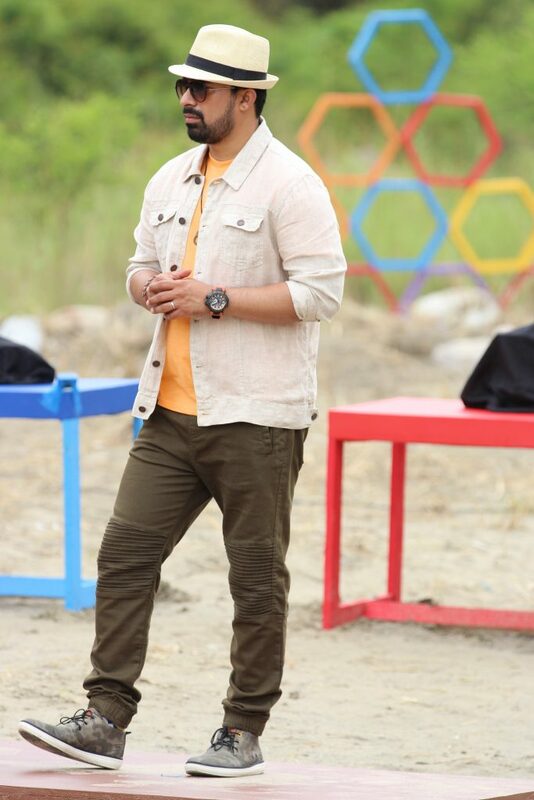 Our new season of Splitsvilla 10 is around the corner and I cannot help myself but give you a sneak peek into what he is wearing this year. 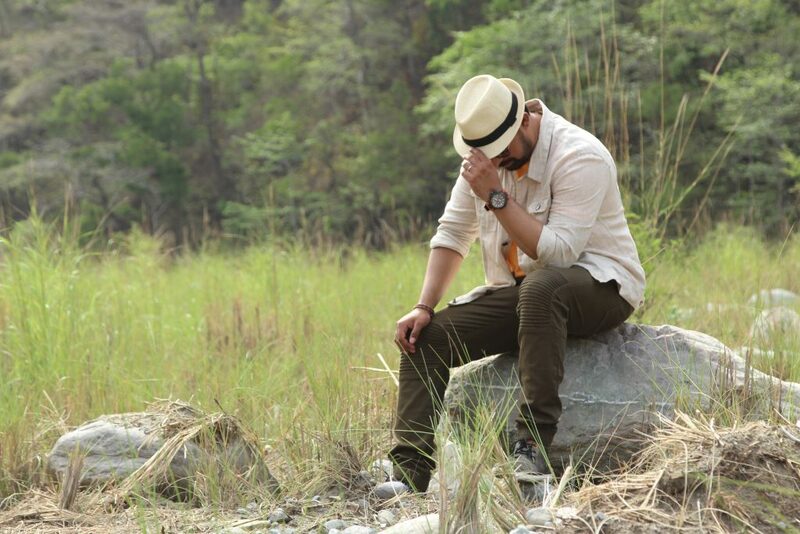 Our month long shoot was in Jim Corbett and I was fooled into thinking the weather would be pleasant and good. It was not. What was I worried about? No not my tan! 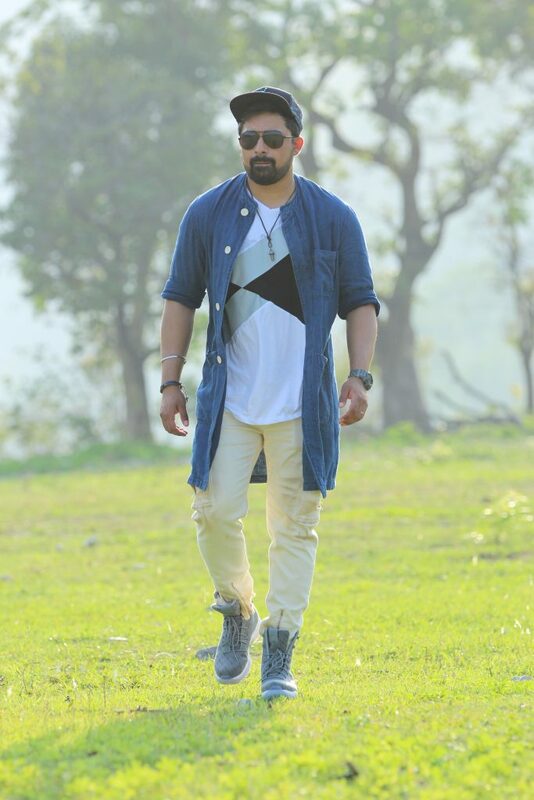 Coaxing Rannvijay into layers. As you can see I was successful. This year we wore lots of pastels mixed with neutral colours and in fabrics like jersey and linen was our favourite. Comfort clothing is something both he and I prefer. In shoots and in personal style. 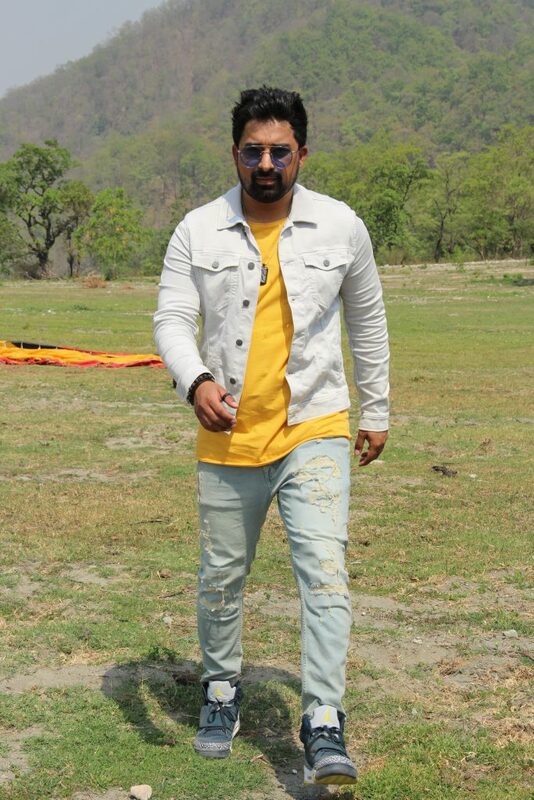 Outfit details : Linen jacket is from Jack & Jones, military green joggers are from Celio, t-shirt is H&M, camo shoes are from West Coast, the hat is a gift to Rannvijay by his Father-in-law, sunglasses are from Koovs, hand and neck accessories are Dare by Voylla, watch from Gshock. When I was done with my sourcing and shopping I realised that blue was quite common in all the outfits. It is such a soothing summer colour. I think we pretty much covered all shades. This is one of my favourite outfits this year for the tasks. Grey, blue and white is the best combination in my styling space. I feel they can never go wrong together. 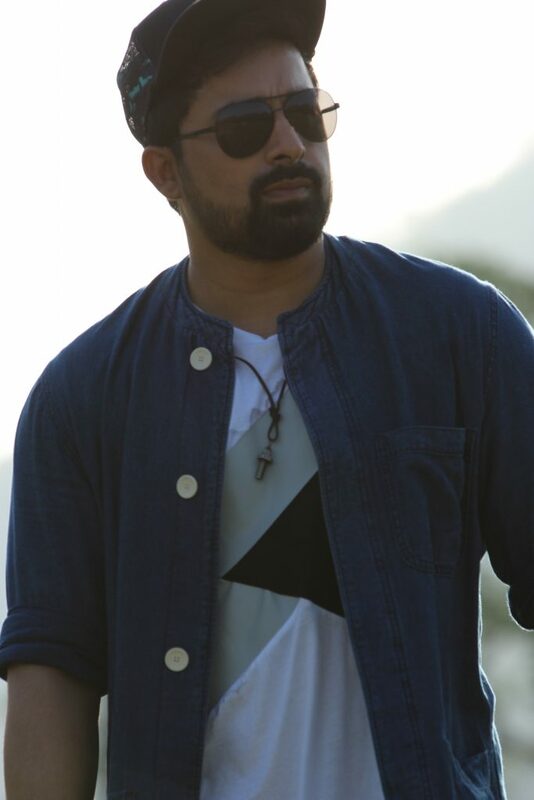 Rannvijay’s collection of hats and caps is legendary and I am happy to say I try and play a small part in building that up too. 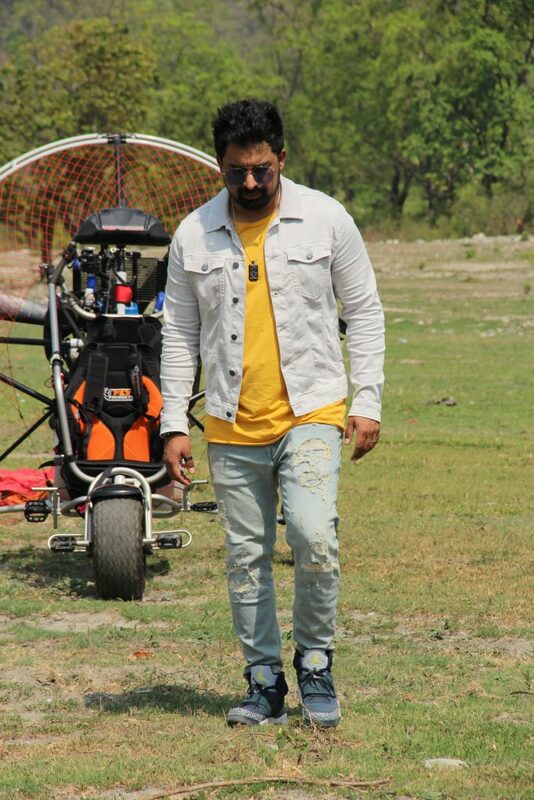 Outfit details : T-shirt and sunglass are from Koovs, jacket and jeans are from Zara, cap and shoes are from Air Jordan, accessories from Dare by Voylla, watch from Gshock. 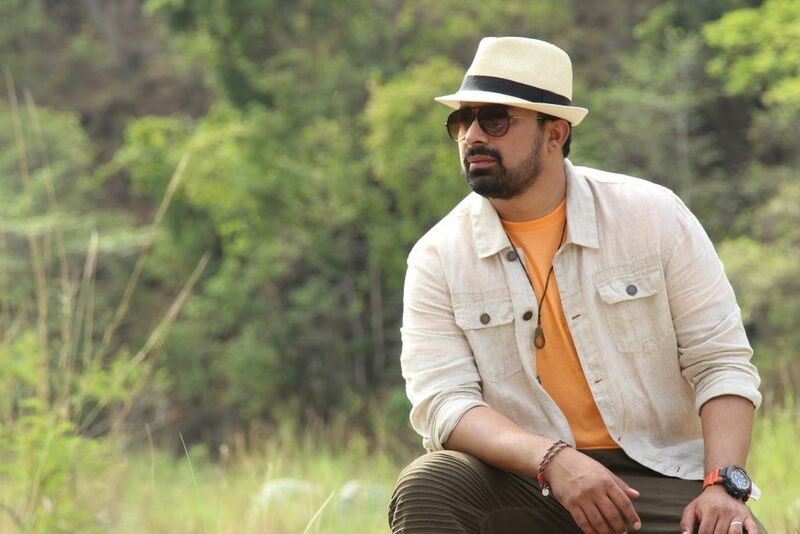 On the first day mine and Rannvijay’s call time was 6 am. We got ready and headed out for a sunny day. This is how it all started. Casual, comfy and in his favourite new Jordans. To tell you the truth this is the shade of blue in jeans that I am hunting even for myself. The rips and the colour was just right and better still. Its stretchy! Outfit details : Jacket, t-shirt and jeans are from Zara, watch is from Gshock, sunglasses from Pataaka, accessories from Dare by Voylla and shoes are Jordan Son of Mars. A big thank you to Subham Agarwal for clicking these pictures. Do follow us on on Instagram, we are very into the stories, they are so much fun! Please make sure you have signed up for our emails – this a super easy way to keep track of all our posts, just put your email ids below. Come say hi on our Twitter! Till next time! Shopping Bag – Sale Shopping!